2) Q: Is kickboxing for fitness only or for self defense also? A: Kickboxing is practiced for self defense, general fitness or as a competitive contact sport. Inferno has several schools in NWA offer kickboxing classes that meet all the needs of our students. We make sure that our classes are awesome workouts for fitness, but we also teach our students in a way that sets them up for self defense success or competitive victory! 3) Q: Will I get hurt if I train in kickboxing? A: A common misconception surrounding kickboxing is that it is extremely dangerous. Kickboxing is a full contact sport, yes, but it is no more dangerous than other contact sports such as basketball, and even less than football. The popularity of kickboxing is growing therefore many sanction boards have been set up to ensure that safety guidelines are drawn up and followed. Inferno has several members on the State Athletic Commission to ensure safety guidelines are followed. When you train in kickboxing classes at Inferno anywhere in Northwest Arkansas you can be sure that your safety is a top priority. 4) Q: What are some benefits to training in kickboxing? A: One of the greatest benefits of training in kickboxing is self defense. Deadly weapons can be disarmed and used against you, but your body, your best weapon, can help you prevail. Another awesome benefit besides the improved physical health is the improved mental health. The intensity of class is a great way to release some worries and stress. Everyone at Inferno has a story, has a reason as to “why” they train kickboxing. Their story may be fitness, it may be self defense, their story could be they want to compete, or it may be for martial arts therapy. No matter the story, the commonality is everyone loves kickboxing! 5) Q: Is kickboxing for women too or just men? A: Women absolutely take kickboxing! Experts say “that a lady who has trained in kickboxing develops extra stamina when in dire straits and possess better reflexes raising their chance of survival in a physical altercation” There are many female students and instructors at Inferno in Bentonville, Springdale, Rogers and Fayetteville. All of which have the utmost respect from all the coaches and all other students. In fact our current International Kickboxing champ is a female! 6) Q: Is it possible to get rank in kickboxing? A: Yes. Belt grading systems are used by some schools as a way to both inspire and demonstrate advancement. 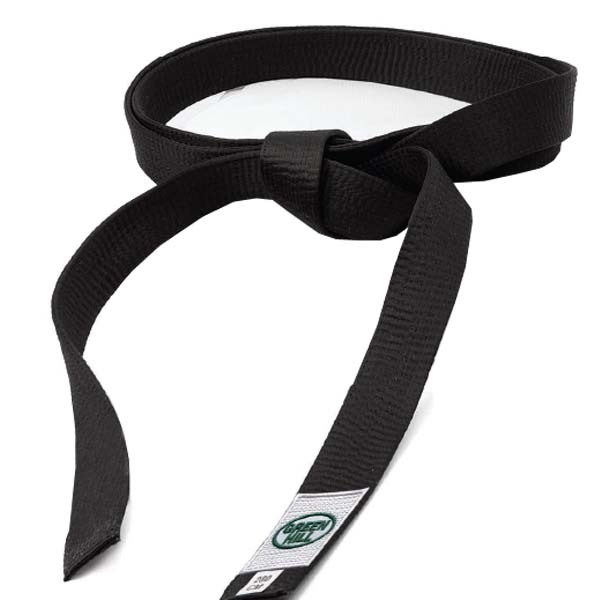 At Inferno we have a curriculum based program which allows you to be graded every three months for belt advancements. Each student will be properly trained based on his/her rank and will be well prepared for the test. 7) Q: What gear do I need for kickboxing? A: For starters you will need boxing gloves, and a mouth guard. If your interest in kickboxing goes a little deeper than basic classes and drilling more gear will be needed. For added protection you will also need shin/foot guards, and head gear. When you join the kickboxing programs at any Inferno location in NWA they will make sure you are set up with all the appropriate gear needed to ensure your safety while you have fun in class. 8) Q: Is sparring required in kickboxing? A: First, remember sparring is not fighting, it is a partner drill with padded equipment to give you a chance to try and hit your partner while they try and hit you in a controlled environment at an intensity level based on your experience with a coach watching and keeping you safe. The purpose of sparring is to make both you and your partner better. Sparring is the chance to really use what you have learned and the only solid way to mark your progress. When beginning the kickboxing program at Inferno you are not required to spar. However, if you choose to test for belt advancement and reach the intermediate stage of skill level sparring is required after about 12 months of training. 9) Q: Are there kickboxing competitions if I want to compete? A: Yes. The leading kickboxing competition in the world is IKF, also known as International Kickboxing Federation. Check them out at IKFKICKBOXING.com . Inferno Fitness and Martial Arts in NWA has a very good relationship with IKF. We have several competitors go each year and have brought back many Championship belts! 10) Q: Do gyms let people try out a kickboxing class before joining? A: This varies from gym to gym. When considering training in kickboxing have your plan and goals in mind. Have a list of questions you want answered. After touring gyms and asking your questions see if you can try an intro class before making your final decision. Whether you Live in Bentonville, Rogers, Springdale or Fayetteville Inferno has an Intro Program that you can take advantage of to try out Kickboxing. The Inferno Community is all about fun and hard work! We would love to help you start your journey!